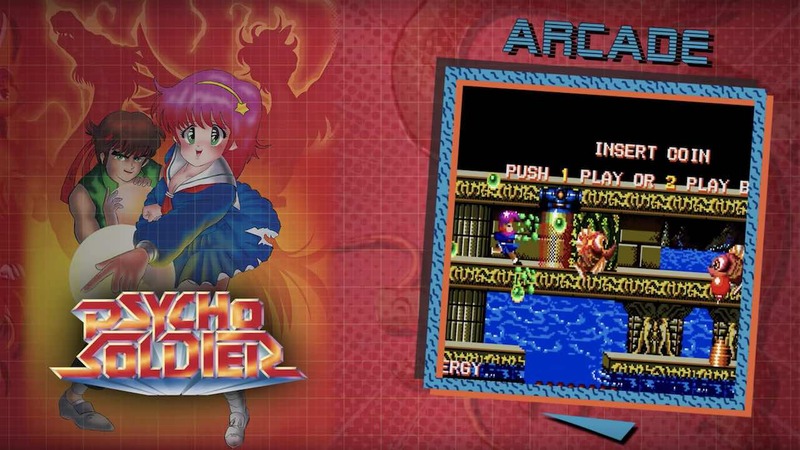 NIS America and SNK have continued to highlight games that will be included in the SNK 40th Anniversary Collection, with a new trailer introducing Athena and Psycho Soldier. Athena was released in 1986, and was the company’s first traditional platform game. With players walking in a side-view perspective, they were challenged to jump, climb and swim to reach new areas. Starting the game in just a red bikini, Athena gains armour and weapons as she progresses on her journey. Whereas Psycho Soldier, the game’s sequel, was released in 1987, and saw her descendant, Athena Asamiya, and Sie Kensou restore peace to the world after the seal of darkness was broken. It is an automatic belt scroller with five lanes, where Athena and Kensou are challenged to smash bricks with weapons to find items and power up.